It looks like Snapchat decided to sell its shares to the public at just the right time. The value of Snapchat parent Snap has declined by 26.5% since the shares peaked the day after the IPO. That was back on March 3rd. And last month, the company reported a net loss of $2.2 billion for the first quarter, which dropped the stock to a valuation under $20 billion. Even though the shares have rebounded a bit since then, the second-quarter might also bring bad news. For the first two months of the second quarter, year-over-year downloads of the Snapchat app are down 22% according to data from Instinet. For a company whose value grew from $800 million in June 2013 to its current worth north of $23 billion, the drop off in downloads has to feel unusual. On a sequential month-to-month basis, downloads went from +6% growth during the first quarter, to the aforementioned decline two-thirds of the way through Q2. 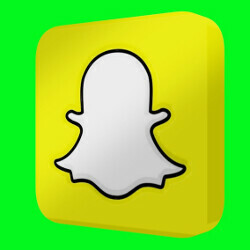 During this time period, Apple iPhone users have had the largest decline in Snapchat downloads at 40%. One analyst notes that Snapchat downloads are slowing as Facebook, Instagram and other messaging apps continue to copy some of Snapchat's features, most notably the "Stories" feature. This allows users to view a series of videos or photos that are stitched together to form a "Story." These stay up on the site for 24-hours so that friends and family can read it. Also copied by other apps is Snapchat's lenses. These allow users to snap a selfie, and using AR, change their face to that of a motorcycle cop, a dog, some type of alien, and other creatures. Snapchat's first claim to fame was the feature that allowed users to send messages that would disappear 10 seconds after being opened. Snapchat has eliminated the automatic 10-second self destruction feature and now lets messages stay on the screen until the recipient of a message decides to dismiss it. I think Instagram stories affected snapchat in a big way. You can't really keep adding a significant amount of users when you already have the majority of (target audience) people using your product. Its like saying, "Windows mobile OS increasing significantly!!!! ", when theres no one using it in the first place. Very click baity. Snapchat is gonna be the next yahoo , 2 years time itll have its valuation in millions and not billions. So what originally made snapchat popular they got rid of? While every other major social media platform has copied their stories and filters. Not to mention they still haven't bothered to optimize it for most android devices, photos look like low grain blurry out of focus garbage on my S7. At least they still did a couple months ago when I uninstalled the app. I noticed the same on my iPhone. When you are taking a snap on your S7 (or iPhone, Nexus, Pixel, Note, etc) it only takes a "photo" of whats on your viewfinder/screen, instead of actually using your camera. Its terrible. Stop automatic sync and notifications. Plus they have blocked almost all the rooted and custom rom android users. Even titanium backup method fails for me. Snapchat is for little kids. It is better to go away.